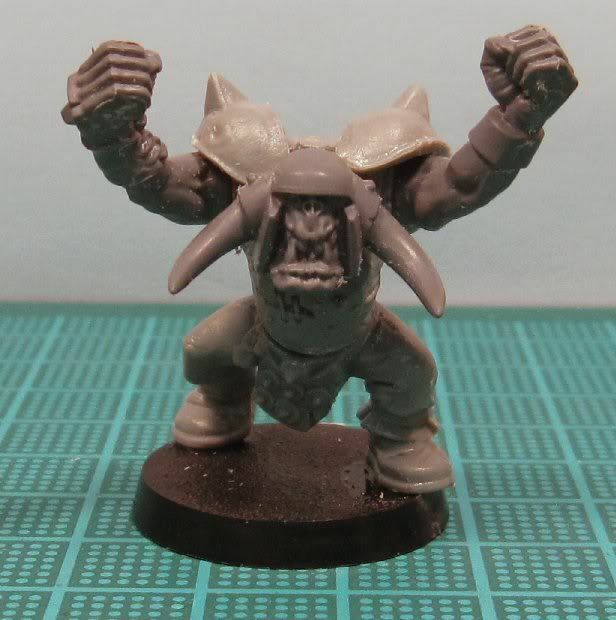 I like the blitzer: I think he looks very bloodbowl-ish. You just need to give him, and his team, a distinctive paint job. i.e. 'team colours' not 'brown furs' look. 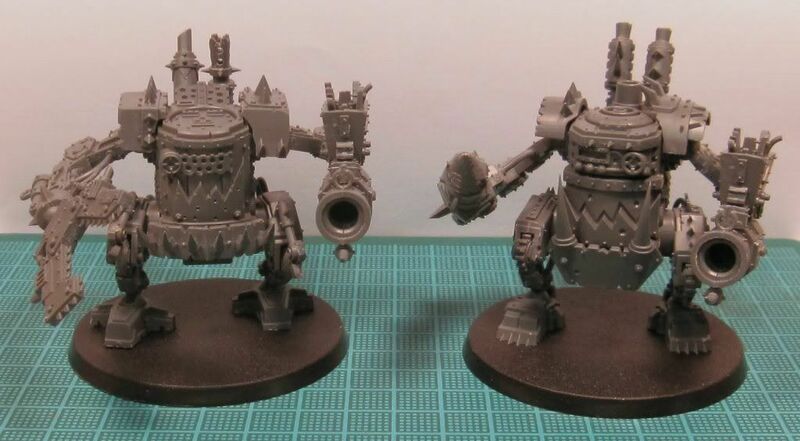 The kans are great models, so are the dreads. 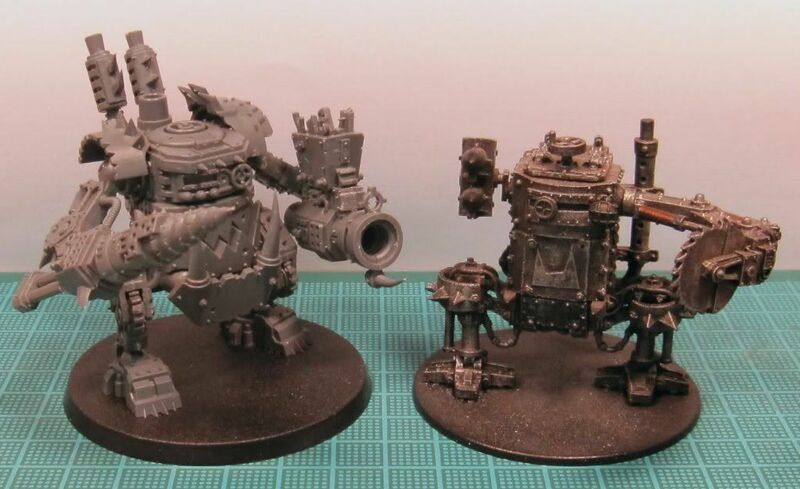 It makes me want to paint some Orks! 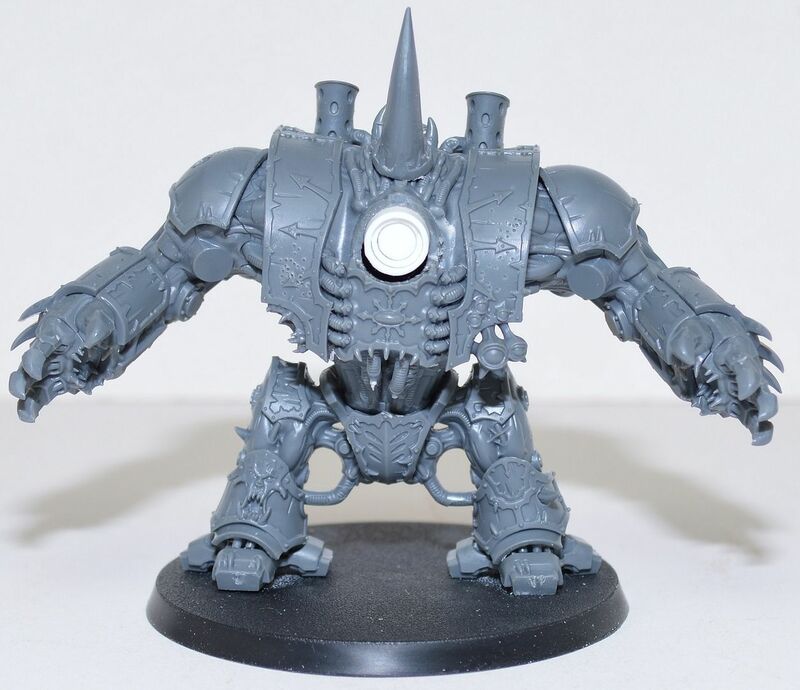 I have yet to pick up the new dread, but I have seen a couple around my local group. They are great models! 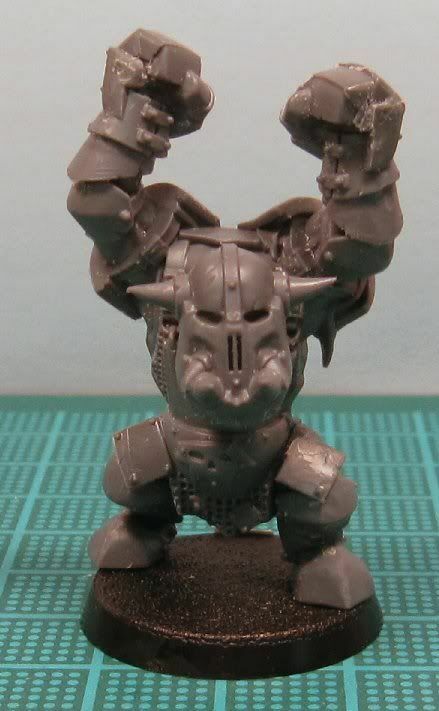 I think it is the helmet and the armour bits between his legs that are making look un Blood Bowl like. The pose also seems a bit awkward with his arms up like that. Good luck with the team! I've had doing this in the back of my mind for a while.. so it's cool to see. Maybe some chains round his hands and a wire face guard?